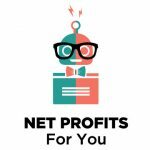 Net Profits For You, LLC — founded by Barbara Joyce — is a full-service professional firm with Certified Advanced QuickBooks Proadvisors. The services they offer include bookkeeping services, eCommerce integration, credit card charges, ACH payment automation, as well as QuickBooks setup, training, and support,. Work For Net Profits For You, LLC? Claim This Page.